Just the basics so far. Tons of additional items available. This part transforms 120V AC input to 110V DC output. Found in most older Jacuzzi mechanical controls. 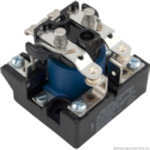 This 20-Amp circuit breaker is found in most older Jacuzzi Blue Box and Brown Box SCM Controls. 30-Amp fuse holder. This part is used in lots of controls, including older Jacuzzi digital systems made by Balboa. Panel mount in-line fuse holder. 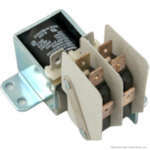 This part is used in lots of controls by many different manufacturers and holds a SC-20 time-delay fuse. 25 Amp in-line fuse holder. 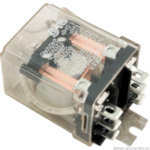 This part is used in lots of controls by many manufacturers and holds a SC-25 time-delay fuse. 20-amp Dead Front GFCI. This part generally mounts to the front panel of older mechanical controls. Color will vary. This rain-tight outdoor load center meets all NEC requirements. With 4 spaces total, it includes a 50-amp GFCI breaker. This part is used for many 120V spas and includes a 15' cord and 12-gauge wire with a 15-amp GFCI plug. This is a heavy 3-position terminal block with additional spade connectors.